I recently caught up with Scott from Jolt games, who is running their ITC 40k Events! The events will be on the third Saturday of every second month, with the first date on the 17th March. It will be $25 entry, three round, one day events starting at 1000, and finishing at 1900. It will be a great event to build up some ITC points! The format that will be used for the 5 tournaments over 2018 will be following the 2018 ITC Format as close as possible, whilst also adapting it if necessary to suit better for the local ACT 40K scene. As close to the 2018 ITC Format as possible, which is currently unannounced. Going off the ITC 2017 Format however, we are not allowing any Proxy/Counts As Models and for players to be eligible for any prize support, they must have a fully painted army to a tournament standard, which is 3 Colours and Based. Bring your Codexes and Latest Chapter Approved (either digital or physical copies) A copy of this Player’s Pack, Your Army and Rulebook GW FAQ’s, Notepad and Pen/Pencil, 4 Computer printed copies of your army list., Dice, tape measure and three 40mm Objectives numbered 1,2,3. 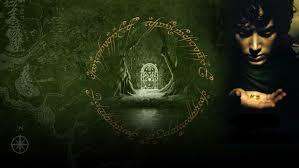 What really got me into the hobby was one of my close mates when I was growing up got into playing the Lord of the Rings Strategy Battle Game when I was about 10, at that point I had already seen all 3 films and was super keen to play a game based in that setting. Then after a few years, I started to play 40K when 5th Edition of the game dropped. I enjoyed hanging out with the guys at the local store, playing casual games and over time, I got into play tournaments when I first moved to Canberra in 2014 and 7th Edition dropped, ran my first ITC event in October 2015 and the rest is history really. Why do you like running events? The reason that I started to run events was because a lot of the previous organisers had stepped back within the ACT, and so I actually choose to step up and start running events, not just at Jolt Games, which is my local store and now my workplace, but also the larger events like the Wintercon and Cancon conventions. I have the belief that it is worth making sacrifices in terms of personal time, finances and the ability to play in tournaments, so that members of the 40K community would be able to have tournaments to attend and play in in the ACT that are run in a profession, transparent, honest and accountable manner for the benefit the community. I firmly believe that the more effort, time, energy and even finances that you put into growing the community, the community will grow to be a healthy, vibrant and welcoming place for people to be a part of, which is what I desire and see the 40K community in the ACT to be for the most part. Whats your favorite 40k army? 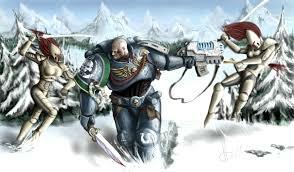 My favourite 40K army is generic Space Marines, no specific chapter I just really enjoy how flexible they are and being a real 'jack of all trades' faction in the game whilst not being amazing in any one area. It allows me as a player to focus on not just writing effective army lists but also playing the army in an effective and tactical manner. Well Scott it sounds like your events are going to be awesome! I hope everyone going has a blast! For any further information please see Jolt Games facebook page, or email Scott on scott@joltgames.com.